No matter how well behaved your kid is, you’re bound to come to a time where your kid isn’t behaving in the way you would prefer. Maybe your kid is polite and performs well in school, but you can’t get her to do any of her chores, or maybe it’s the other way around. Maybe your child throws tantrums in public, or maybe your child fails to get along well with her siblings. No matter what the case is—and even if the task of changing that bad behavior seems absolutely hopeless—there’s still plenty of ways to get your child to act well behaved. How exactly do you get your kid to follow the rules? It’s pretty simple actually: you devise a rewards system. There is a wide array of rewards you can give your child in order for you to help take control of any behavioral issues, but before we get into options for rewards, let’s explain a bit about what exactly it means to reward your child for topnotch behavior. It’s perfectly reasonable that you may feel you’re only bribing your child with an award and not really getting the point of across of why you want your child to behave in an acceptable fashion. The difference between an award and a bribe is that being awarded is in itself rewarding. You’re not trying to get your kid to just shut up when she throws a tantrum, you’re trying to instill in her a sense of what it means to be well behaved and why exactly that good behavior matters. Awards are all about acknowledging successful responsibility; not temporary relief from a problem. When you reward your kid as opposed to bribe your kid, you’re making it so that she has to earn something. Earn is the key word here; your child isn’t simply getting a “pacifier” so to say. When your child learns the value of what it is to earn something as opposed to just getting something special in order to eradicate the undesired behavior, she’s learning a lesson about hard work and effort. What your child is getting by being rewarded, is the opportunity to see the results of her hard effort. Parents like to use a variety of methods for keeping up with the bad behaviors that need to be fixed, and how exactly to determine when an award should be given. One of the most popular methods is what’s known as a rewards chart. A rewards chart can almost be seen as a sort of calendar that lets you—and more importantly your child—see clearly if the criteria for good behavior is being met. Rewards charts are easy to make, and the overtly visual aspect makes understanding the system incredibly easy. What you can do to compose the chart is put the days of the week at the top of the chart, arranging the days horizontally. You can then draw out the good behaviors that need to be followed, and you would do so horizontally on the left side of the chart. If you don’t feel like making the chart yourself, you can go and buy one that’s premade. So, let’s say your kid has a difficult time with completing her homework. Simply put something along the lines of “homework completion” on the top of the tasks list on the left, and you can put a star shaped sticker on the days of the week in which she successfully completes her assignments. A star every day of the week or even a certain number of stars on certain days could translate into a specific reward. You can continue to do the same with other tasks such as peacefully getting along with everyone in the household, doing the chores, staying calm and collected in the classroom, going to bed when asked to do so, brushing her teeth, etc. This way both you and your kid have a clear picture of whether or not she’s doing what’s being asked of her. There’s no one way to reward your child, and of course, what you give is dependent on your child’s likes and dislikes, and whatever you deem is appropriate to give your child. When you think about it at first, praising your kid doesn’t seem like much of a reward. Put simply, praise isn’t something you have fun with. But while praise may not be a blast or even a fun activity, it’s still something that makes your child feel good. It may not be particular enticing—and you probably won’t want praise to be the only reward your child gets—but it’s definitely a great place to start. Praise such as “I’m so proud of you” or “You’re so mature for behaving like this” will definitely let your kid knows she’s on the right track to behaving as she should. If possible, kids like to stay up late. Grownups get to do it, and so do kids who are a little older. It makes a kid feel a little less like a kid, seeing as how later bedtime is a little bit more of an “adult” privilege. Of course, you don’t want your child staying up into the wee hours of the night, but your child will definitely feel a sense of maturity if she’s given the chance to stay up a little later. Using later bedtime as a reward is definitely a great one to go with if your kid never goes to bed on time. Your child will see that if she just goes to bed when asked, she’ll get the pleasure of enjoying staying up a little later and a future time. You probably don’t want to make it so that a week of proper bedtime routine results in an entire weekend of staying up late every week, but there’s nothing wrong with adding a few waking hours to her night from time to time. It’s important to limit the amount of time your child spends just lounging around in front of a tablet, computer, or smartphone, or even sitting around playing video games all day. But that’s not to say your child shouldn’t be able to enjoy some screen time. This is one where you might want to have it so that a larger number of accumulated stars on the chart translates to extra screen time. Again, you don’t want your child sitting in front of the screen all day; especially at nighttime because screens can be rather stimulating and cause sleep issues. We all have films that bring us greater joy than other films, and if you reward your kid with her favorite, she’ll be more likely to keep up that good behavior. Going with her favorite film as opposed to just any film will serve as stronger motivation simply because that particular film is of more importance to her, and it’s a little more special than just any old movie. This one will definitely teach your child the value of what it is to earn something. Maybe if your child diligently and successfully completes her weekly chores, you could add an extra dollar for the next week. An every other week or every two weeks type of deal is a good idea, because then she won’t be used to the idea of earning the same amount every week. She won’t feel entitled to receive the same amount of money every time, and when it comes to rewards you definitely don’t want to give your kid a sense that she’s entitled to whatever award you choose for her. If she feels entitled, she’s less likely to feel motivated. This one is a little similar to earning a little extra cash as the result of extra effort. We all enjoy a day off, and this includes children. You might want to go with every other week or every two weeks just as you would as far as the allowance boost goes. Working for a day off is also definitely another lesson in the value of an earned reward. She’ll understand that she worked hard for her relaxation time, and she’ll know that she earned it and it wasn’t just handed to her. Even if you’re a master chef, your kid might not always be pleased about the dinner choices. If your kid has an excellent week at school both grade-wise and behavior wise, maybe you could let her be the one to decide what the family eats for dinner one night. You may not be totally thrilled with her choice, but she earned it and that’s the ultimate lesson here; the value of learning to earn. Who knows, maybe they will have awesome ideas for food, like the picture above, and this will encourage their inner chef! You probably have your favorite restaurants of your own, and chances are your kid does too. If her level of good behavior in a certain period of time matches the criteria, it’s never a bad idea to let her pick the dinner destination. She’ll feel empowered by making the decision—and like most rewards—it’ll be an empowerment that’s earned. Whether it’s a sleepover at your home, or letting your kid go to a friend’s house on a Saturday night, letting your child spend time with her friends is a great motivator to get her to behave properly. When your kid hangs out with other children, she gets the chance to have some fun while also gaining healthy social skills. And with parties, you can add all sorts of extra fun that wouldn’t be happening at your typical sleepover. You can add games, decorations, and even cake! You’ll want to save the party idea for something really special—something that it might have taken her all year to achieve, such as good grades. After all, parties don’t happen every day, and the idea of a party once a month might be a little taxing on you. Good behavior is the perfect reason for a tasty treat. Try taking your kid out for ice cream from time to time if she follows all the rules. Aside from your child learning that she earned that ice cream, the best part if you get to have some as well. What could be better than a new toy?! Toys are an excellent way to stimulate the imagination of your child, and they can keep your kid perpetually entertained. If you want to take the new toy route, you might want to think about awarding your kid with a toy in the same way you would award her with a party. Often times, there’s a specific and special toy that a kid really wants. Think about a gift list over the holidays or a birthday: there’s a handful of things your kid really desires, and they’ve waited all year to get that cool new toy. 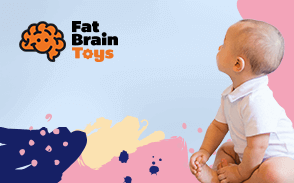 Treat the new toy as something just as special as your kid’s birthday or holiday gift. You want your child to know that she really earned what it is that she wants. If your child is like mine, a great example of a toy they would love can be found on our Ninja Turtles list! As has been said already, let’s not forget that rewards are all about teaching the concept of earning what your kid works for. Rewards are fun but there’s also that valuable lesson to be learned. 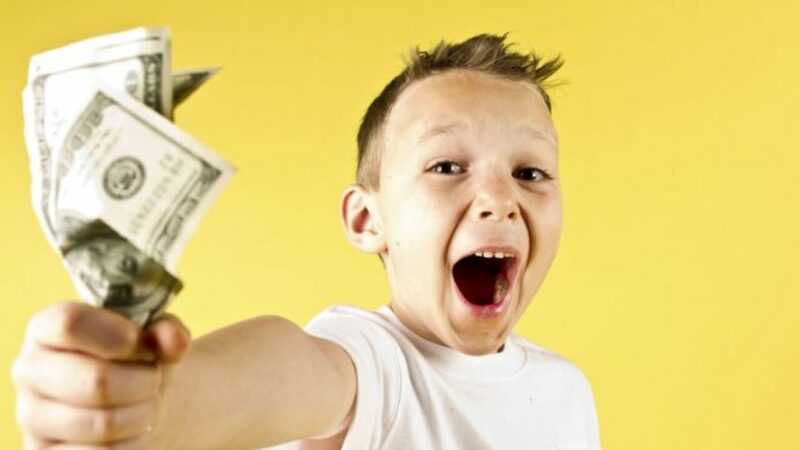 Whatever method you choose for rewarding your child—and as long as you don’t look at the rewards system as bribery or leverage, you should be well on your way to get your kid to behave in the way that’s needed to learn the valuable lesson of what it is to earn something.